Get your daily scoop of what State of the Union is watching today, December 20, 2013. 1. Goodbye to a horrible year. 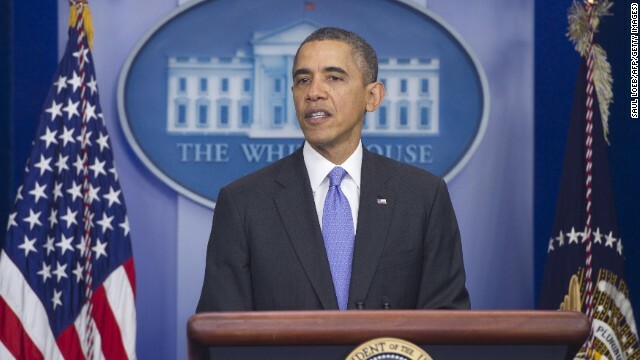 Before heading off to Hawaii for Christmas vacation, President Obama held his final news conference of 2013. The first question out of the gate was whether this has been the worst year of his presidency. In a nutshell, the President said he may be down, but not out. "A lot of our initiatives in Congress have not moved forward as rapidly as I would like. I completely understand that. Which means that I'm going to keep at it," Obama said. 2. But Mr. President, your poll numbers. President Obama's job approval rating has reached an all-time low in CNN polling. According to a new CNN/ORC survey, 41% approve of the way the President is handling his job, while 56% disapprove. President Obama began the year with a 55% approval rating. The survey also found that his 14-point drop came from both the left and the right. "Not surprisingly, the number of Americans who disapprove of him because he is too liberal is up six points since the start of the year," CNN Polling Director Keating Holland said. "But the number of Americans who disapprove of him because he has not been liberal enough is up almost as much since January, indicating that his slide is due as much to disappointment as it is anger." 3. A SOTU holiday gift alert! Are you scrambling for a gift for that political junkie in your family or circle of friends? How about "Collision 2012" by The Washington Post's Dan Balz, or "This Town" by the New York Times Magazine's Mark Leibovich? There's also "Double Down: Game Change 2012" by Time magazine's Mark Halperin, or "Breakout," by CNN’s Crossfire host Newt Gingrich. You can see all of the authors this Sunday when they join Candy Crowley on State of the Union. We'll also be giving away their books during the show.